The acquisition of Business Objects into the SAP product family created the need to integrate product components to allow customers to implement new scenarios. In the manufacturing area a close integration between SAP MII and the SAP Business Objects product suite is part of the actual SAP MII roadmap. One aspect of this integration is the creation of a specific SAP MII connector for the SAP Business Objects suite of products which will allow Business Object users to access SAP MII and its composition environment as a new data source. At the same time SAP MII will allow plant personnel to take advantage of Business Objects elements inside the SAP MII environment. However, most of the integration pieces described in the roadmap are meant for a long term strategy and do not serve the immediate need to integrate these SAP components. Especially in most scenarios involving dashboards, like the Business Objects Xcelsius product, customers need how-to guides on how to drive their own development. Combining Xcelsius’s appealing user interface environment with SAP MII’s data connectors is an interesting combination of a user interface modeling and data modeling tool combined to achieve maximum flexibility for customer dashboard applications. The goal of this article is to show customer developers how to use SAP MII as data source for an Xcelsius dashboard. The article explains current workarounds in order to achieve this based on the existing Xcelsius and SAP MII versions. “CX Now!” Xcelsius for Free! 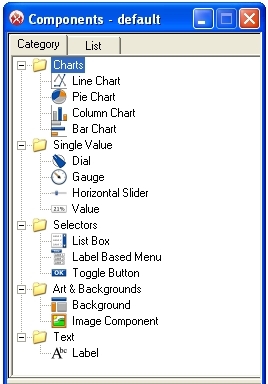 Do you know that you can download Xcelsius (Full Version) for free from BusinessObjects website? I didn’t know either till yesterday when Andy from Argentina wrote to me about an issue he had with “Xcelsius Now” not having an option to connect to XML data. I wondered which edition of Xcelsius is Andy referring to. First, I thought he was talking about Xcelsius Present, however in his replay he says it is called “CX Now”. Note: CX Now! was never officially released, nor is it a “supported” version of Xcelsius. No patches, no updates, no free or paid support. It essentially does not exist with SAP or Business Objects. Its worth a look if you are planning to buy Xcelsius Present. I don’t see much of a difference in terms of functionality. Re-import it back to Xcelsius. Be prepared to re-map your components. Posted in: Add Ons, Videos.